Snapdeal,online marketplace, today announced the appointment of Hardeep Singh as Head - Infrastructure. Snapdeal,online marketplace, today announced the appointment of Hardeep Singh as Head – Infrastructure. In his new role, he will help craft strategies for making Snapdeal’s Supply Chain systems future ready. This includes the entire gamut of network design, infrastructure and special projects. Hardeep comes with over 21 years of experience in various aspects of supply chain operations including – planning, warehouse management, driving process excellence, supply chain technology integration, end-to-end solutions design and implementation. Prior to his appointment at Snapdeal, Hardeep was the Head – Supply Chain and Infrastructure at Bharti Retail. During his stint at Bharti Retail and Bharti Walmart, Hardeep was responsible for driving the best-in-class strategies covering Supply Chain, IT and Real Estate. Previously, he was the CEO at Inlogistics, the first Private Container Train Operator to run on Indian Railways network. In his two decades long career, Hardeep has also worked with reputed organisations like Hindustan Unilever, Asian Paints and Madura Fashion & Lifestyle. Hardeep is also a visiting faculty for courses in supply chain management at some of the leading institutes/ schools including Indian School of Business, SP Jain Institute of Management & Research, National Institute of Industrial Engineering and Indian Institute of Management, Indore. Supply Chain Management is a key function at Snapdeal and the company is investing $300 million this year to strengthen the same. Snapdeal entered into a strategic partnership with Gojavas earlier this year. In order to further customer experience on the platform, the companies together launched innovative delivery services like 4 hrs delivery, card-on-delivery and 90 minutes reverse pickups. 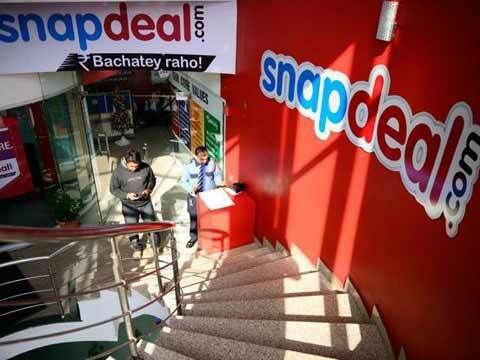 Snapdeal’s flagship service, Snapdeal Plus has seen tremendous success since its launch a year ago. Currently, 60% of the orders are Snapdeal Plus fulfilled up from 7% in January 2015. The SCM team at Snapdeal is 1000+ people strong and has grown 5 times since December 2014. Hardeep holds a master’s degree in operations management from S.P. Jain Institute of Management & Research and an engineering degree from University Institute of Chemical Technology, Mumbai.